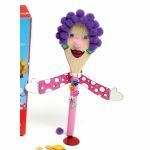 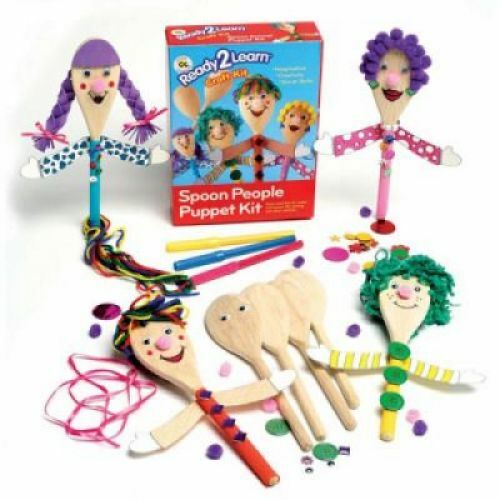 This is a wonderful Spoon People collection of components for ages 3+ to make 4 terrific wooden spoon people puppets. 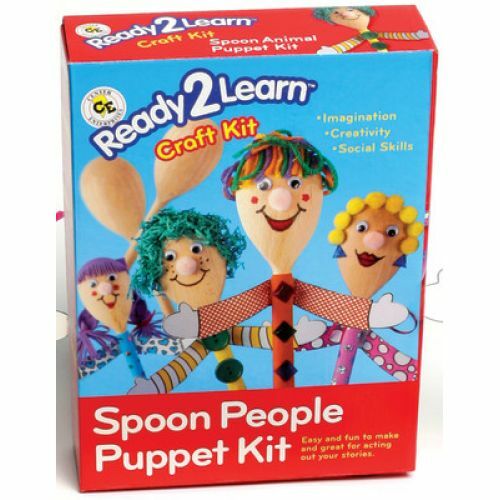 The kit is aimed at helping to develop fine motor skills, imagination, creativity and social skills. 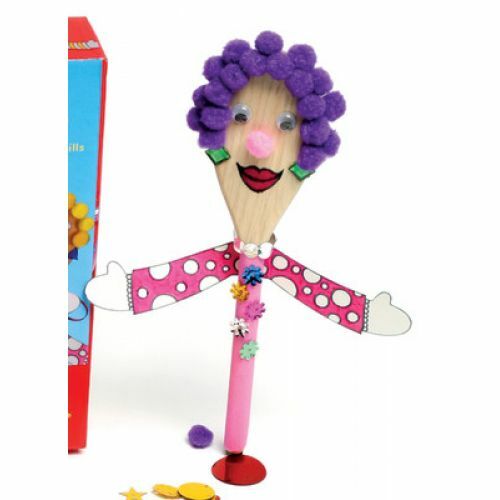 Characters are easy and fun to make. Youngsters find them great for acting out stories. 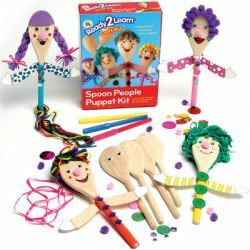 Kit includes: 4 wooden spoons (each 6" long), shapes, sequins, buttons, ribbon, holo-graphic dots, beads, pompoms, coloring pens, crepe paper, foam, shredded tissue, wobbly eyes, glue, and instructions.